1) The first thing is identifying a good camp site; information from the internet could be useful since reviews and even ratings can be found online and you can choose the best one from the user review. Maps also can be used to look for established camping sites on a place well known beforehand or by friends. It is advisable to get useful information about the intended camp site with regard to things like sanitation, terrain, whether groups of people can camp together or even whether pets are allowed. 2) Another good tent camping tip is to get a good tent. A good tent should have an inbuilt sheet underneath it that prevents insects and cold from getting in the tent. An additional ground sheet can be purchased. The tent should be spacious enough for the number of people using it and it should also have additional space for storage. A window is necessary for good ventilation in your camping tent. 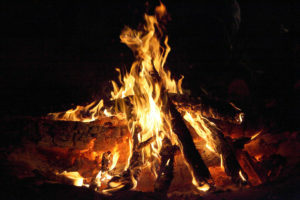 Did you know you can quickly start a fire from salvaging your flashlight and a chewing gum wrapper? Even if you forgot the lighter at the house you’re still in luck. In this short 45 second video below you’ll learn a very practical way to turn what could be a bad camping trip into a lifesaving survival story. This method is very creative and anybody can do it. The trick is being able to quickly light the tender as soon as the gum wrapper takes flame. Give it a shot next time you’re out in the woods. 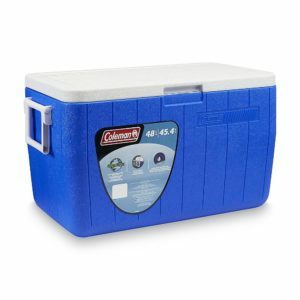 Is it Better to Drain the Water from a Cooler? Continuing with our common camping questions, here is another one that will give you an almost 50/50 split when you poll your friends. As the hours and days pass, your cooler filled with ice slowly but surely gets replaced with water. Is it better to drain this water out or keep it? From a pure physics perspective, it is better to leave the water in unless it is making the items in the cooler soggy or you have to carry it around a lot and you want it lighter. Don’t drain cold water – Water from just-melted ice keeps contents cold almost as well as ice and preserves the remaining ice much better than air space. Drain the water only when necessary for convenient removal of cooler contents or before adding more ice. During use, it is not necessary to drain the cold water from recently melted ice unless it is causing contents to become soggy. The chilled water, combined with ice, more readily surrounds canned and bottled items and will often help keep contents colder more effectively than the remaining ice alone. The more cold water you have the more energy the outside environment must exert to warm up your food. Going camping in winter might sound like an amazing idea. There is the crisp snow all around you, endless snow games and the calming trek through the snow-laden trees. Such is the beauty of winter, a beauty that comes at a price. The biggest problem in winter camping lies in the same thing that makes it interesting, the frigid weather. While most people think of packing the warmest parka they can lay their hands on, your comfort lies in something bigger at night – your tent. 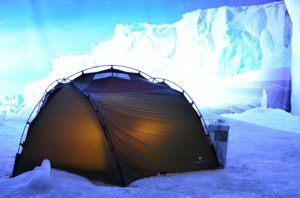 Knowing the basic things to consider when choosing your winter camping tent ensures that you stay warm and cozy all through the night. Since you want a balance between weight and functionality, it would be better if you understood the essentials of winter camping and all the tricks that you can use to cover up for your tent shortcomings without putting your life at risk. Who knew you could use a plastic water bottle to boil water in a pit full of burning hot coals? Most people would expect the plastic bottle to melt but the amazing science behind it is the water actually takes the heat out of the plastic so it doesn’t melt. Allowing the water to successfully boil. 1 Water bottle with water in it. 1 Fire-pit with (only) red hot coals. Obviously, it’s not recommended that you go into your backyard and boil some water in a plastic bottle just to drink it. The plastic will release bad chemicals into the water. However, when you’re in a life or death situation and you desperately need the cleanest water available, this could be your best option. You don’t need a metal pan or spatula in order to enjoy a well-cooked egg when you’re out camping. Here’s an easy way to whip together a delicious meal next time you’re in the wild. NOTE: The first two minutes are preparing the fire so you can click through 2 minutes and 40 seconds to get to the part where he’s preparing the potato for the egg. Enjoy the video! There are many different ways to start a fire but wow… who knew Doritos would be such a great camping tool to add to your arsenal. Steve Miller from Arizona show’s you how with a bag of Doritos you can not only have a good snack but be more prepared in a survival situation. Now the fact that Doritos can burn this good has some people raising the question if Doritos are really good for you to eat or not? Do they contain chemicals or what to allow them to burn? Please comment below on what you think about this. Even so, most people are not aware Doritos burn so well and how quickly they can start a fire. So next time you’re out camping with friends or family remember to teach them this new trick you picked up. Check out the video below and see how it’s done! Going camping can be a lot of fun, and getting away from the stress of modern life is a great way to unwind. However, often times you don’t want to be completely cut off from modern conveniences. Luckily, there are a number of portable tech gadgets that you can bring with you on your camping trips to make the experience much more enjoyable. Here are five gadgets to change your outdoor experience. 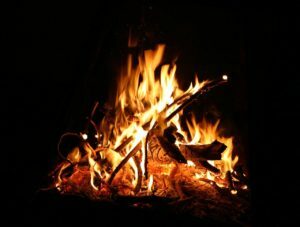 When night comes around out in the woods, you sometimes want a little more light than the campfire provides. 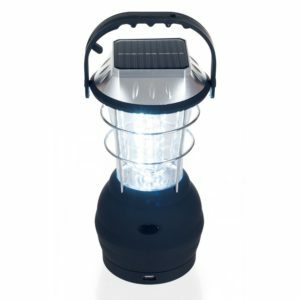 Instead of fumbling with a flashlight at your campsite, you can make use of a solar charged lantern that will give you plenty of illumination. Keep it in full sun all day to have it charged and ready for night. When you are out in the wilderness, it is always a little scary to not have any way to call for help if you need it. You can avoid this situation by using cordless phones that will work anywhere. A satellite phone does not need to be in range of cellphone tower, and it only needs a clear space to get a signal from space to function. The Meet Earl Survival Tablet does it all. 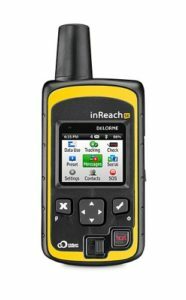 It is a GPS device, radio, thermometer, weather sensor, barometer, compass, and walkie-talkie. This amazing device does everything you could possibly want with the possible exception of pulling in your favorite sports channels from Bell. The BioLite Campstove is one of the neatest tech devices you can take camping with you. It is a stove that you can use to heat up your food and beverages. While it is heating your food, the heat is also being used to charge the battery in the device. This battery has a USB port that you can use to charge any electronic devices you have with you. It is a brilliantly designed, dual-purpose tech device. One of the unfortunate things about camping is that you get kind of grungy over the course of your trip. This can become a problem if you are on a long camping trip. You can stay clean if you take advantage of a solar shower. All you have to do is fill it with water and leave it in the sun, which will allow you to take a hot shower daily. There is no need to live like a savage on a camping trip. 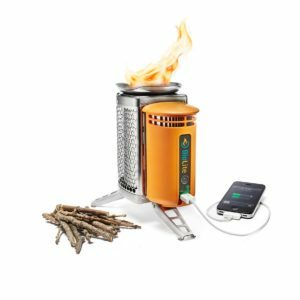 Make use of these cool tech gadgets to bring your next camping trip into the 21st century. Sleeping, eating and generally living your life out amongst the trees and critters is a wonderful opportunity to connect with nature and your inner self. It’s no less a wonderful experience if you’re out there with friends or family. Even strangers can connect when the beauty and warmth of nature is around them. In addition to standard camping gear items, there are a few other items that can make your experience easier, more comfortable or better in general. 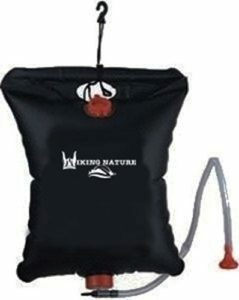 With the inclusion of these items, your camping trip could even be saved from disaster. An all-around awesome tool and emergency item, duct tape is one of the greatest gifts to camping. If prehistoric man had duct tape instead of the wheel, he could have had an easier cave life. Duct tape is perfect for repairing broken camping chairs, fishing rods, small pop-up tent holes that pop up and much more. Twisted lengthwise, it’s a strong emergency rope. It also makes a superb fire starter. It’s easy to carry, durable and versatile enough for many imaginative uses. Distinguishing between pure destruction and furry cuteness is sometimes is not such an easy task, especially if you are stranded in the wild. In fact, some of animals that look cute happen to be the world’s most prolific killers in the wild. A hunting expedition or a camping vacation gone awry can render you susceptible to an attack by some of North America’s most dangerous and feared predators. While bumping into a massive predator can be one of the life’s most petrifying encounters, devising prudent tricks to survive can mean a great difference between life and death. Ideally, your survival in the wild entirely depends on how you can avoid the following top 6 North American predators.